Material: Lining: 95% polyester, 5% elastane. Lace: 100% polyester. 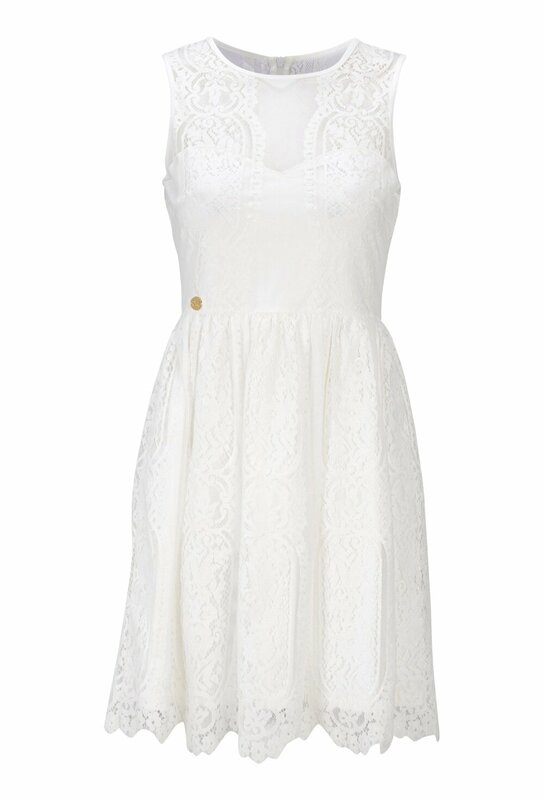 Beautiful lace dress with mesh areas from Chiara Forthi. The dress has been made in a soft and stretchy quality, and the emphasized waist creates a beautiful, feminine silhouette.